Thank you for these links - this is something that I need to look into. Thanks for this link. 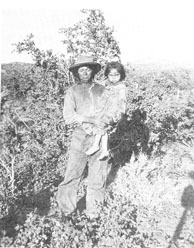 I haven't Indian ancestry, but I've recently been thinking about some of the Native Americans who sold land to ancestors, or who had other dealings with ancestors in court records. Instead of just recording their names I'd like to know more about them. These were obviously neighbors and members of the community, and could greatly increase my understanding of the locality. Thanks for posting these great links Kathleen! Much appreciated! !